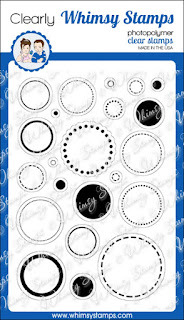 Today's card uses some Clearly Whimsy Stamps, Circles, Circles, Circles and Painted Sayings. I love these different size circles and the solid image circles. So fun! 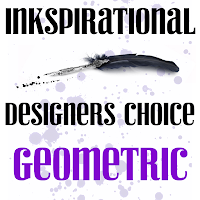 I am sharing this over at Seize the Birthday: Anything Goes and over at Inkspirational Challenge: Geometric. Here is a close up of the stamps I used today. Cute, colorful and simple. I like this. What a fun card! Love the bright colors. What a fun, clean design Kristie! Love your colorful birthday card. 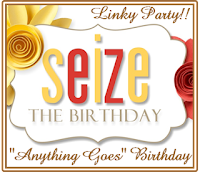 Thanks so much for sharing with us at Seize the Birthday. 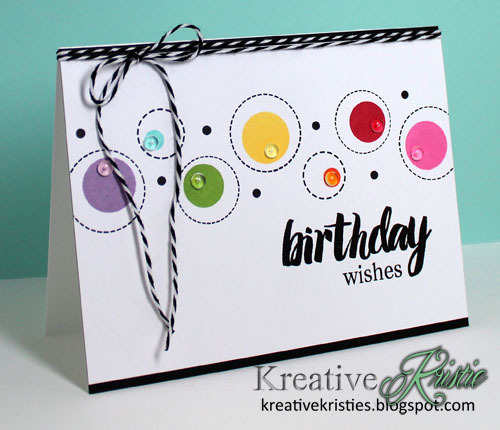 I absolutely love this card, Kristie...everything about it, the circles the die-cuts and the sentiment and sequins! All colour coordinated perfectly! My style, gf. Do you find the black PTI paper to be the darkest black? Just wondering. Blessings!! 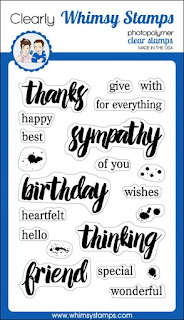 LOve, love, LOVE this card!!! (I am surprised you don't have the Pin button). What a cute design! I just pinned this to my inspiration board, so I will remember it. Love the bright colors! Thanks for playing along with us at Seize the Birthday! I love this Kristie!! Such a fun and colorful card but still so CAS - love it!! 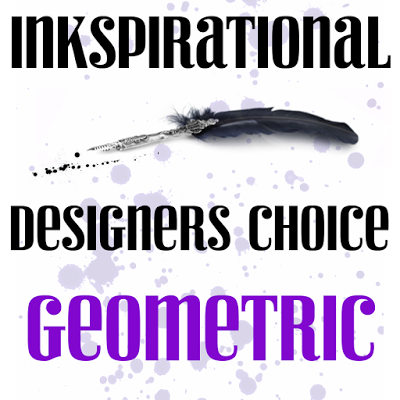 Thank you for playing with us at INK for our Geometric Challenge.